It certainly is the most wonderful time of the year! Despite the warm weather and lack of snow in Southern California, the holidays are in full swing. 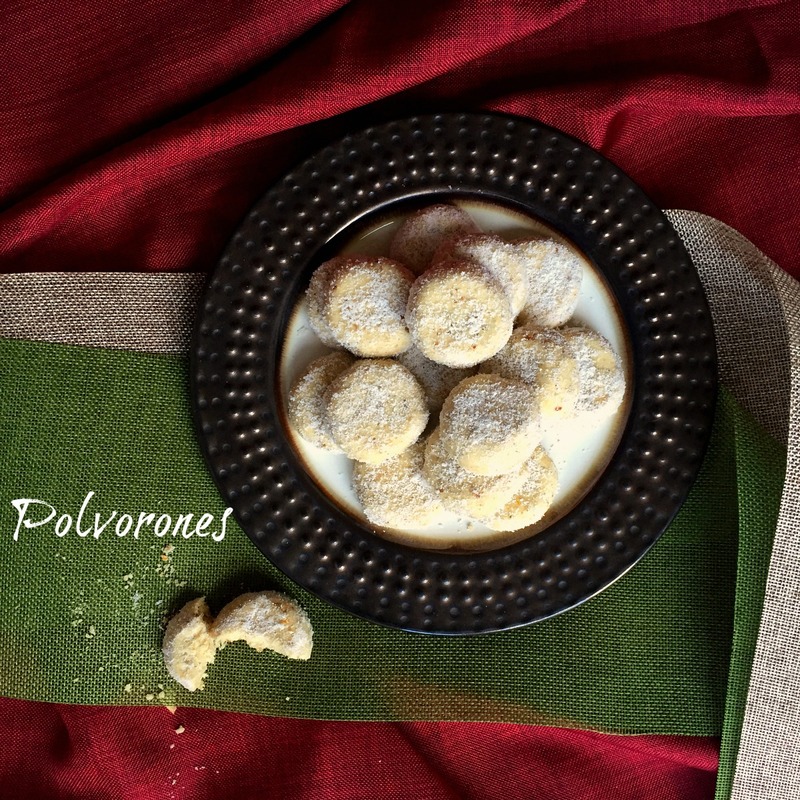 To start off our 12 Days of Christmas, I made Polvorones, or Mexican Wedding Cookies. However, considering the indulgences of the seasonal tamaladas and cocktail parties, I like to shave off a few calories with every meal, drink and dessert, because lets face it, I love my tamales, I’m just trying desperately not to look like one. 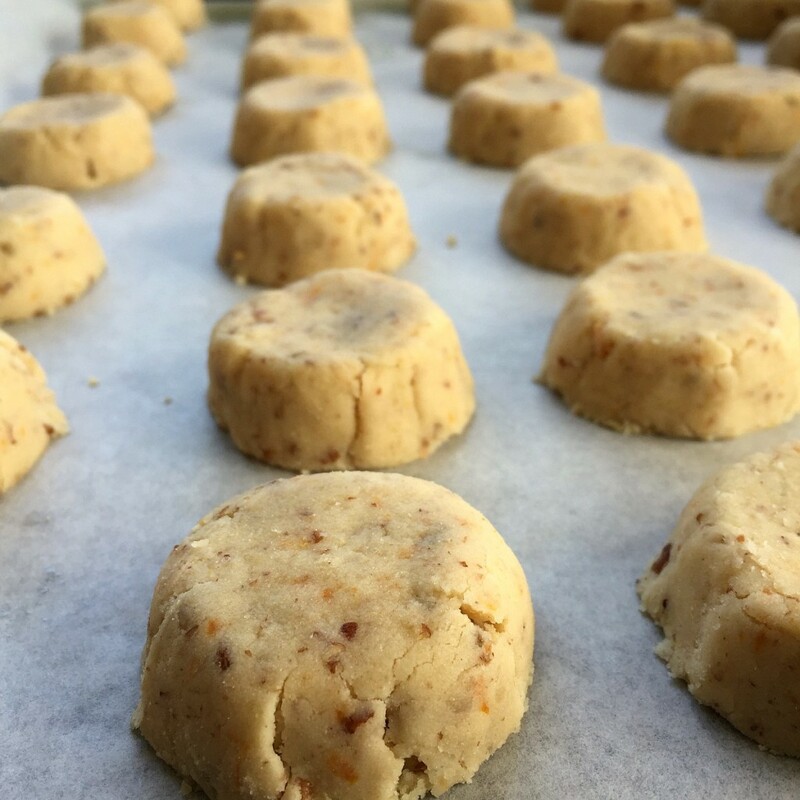 Polvorones, or Mexican Wedding Cookies, are brittle, dry cookies often flavored with anise and speckled with finely chopped pecans. These cookies have those traditional flavors, but I punched it up a bit with fresh orange zest. They are equally punchy with fresh Meyer lemon zest. 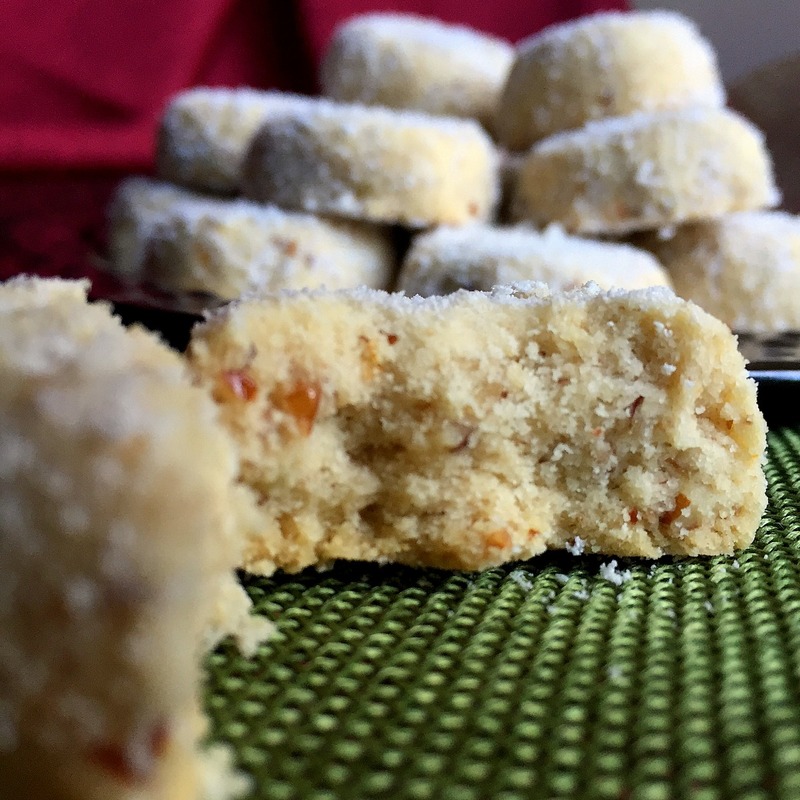 For these polvorones, I swapped out the sugar for SPLENDA® Granulated No Calorie Sweetener because every calorie counts. And if you think about it, sugar not only adds calories and sweetness but also moisture to baked goods, making SPLENDA® Granulated No Calorie Sweetener perfect for polvorones because of their dry crumb. SPLENDA® Granulated No Calorie Sweetener is our go-to sweetener for things like cafecito and homemade aguas frescas, like limonada and Jamaica, but the no-calorie sweetener has a bunch of applications for savory foods and, of course, desserts. 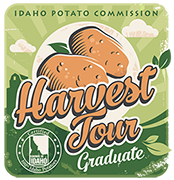 I got mine at Walmart on a recent Christmas-or-Bust Shopping Spree, right in the baking isle, but make sure to check out the seasonal baking displays as well. 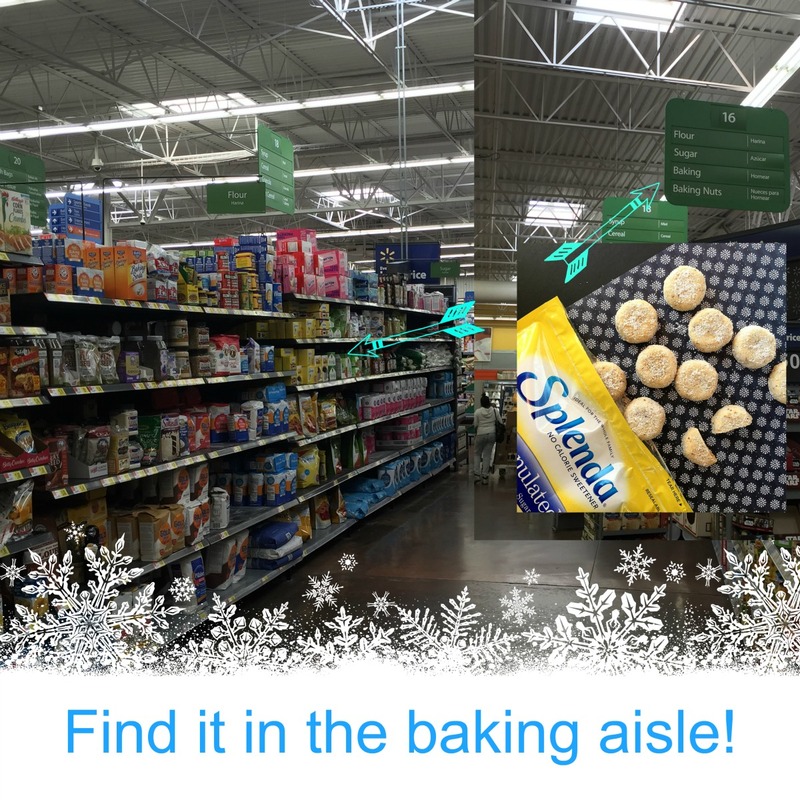 My local Walmart also carries SPLENDA® Sugar Blend (great for bunuelos and churros) and SPLENDA® Brown Sugar Blend (great for flan,) so grab these too! SPLENDA® SWEET SWAPS™ Initiative is just a simple reminder that you can swap out the sugar and keep all that sweetness without the guilt-ridden calories. In fact, if you swap out one cup of sugar for SPLENDA® Granulated No Calorie Sweetener you can save up to 600 calories. This recipe uses one cup…so I just saved you up to 600 calories. Just doing my part to spread some holiday cheer. For more great SPLENDA® recipes visit thewebsite or check out SPLENDA® SWEET SWAPS™ site and enjoy the sweet life without the sugar. How do you use SPLENDA® Granulated No Calorie Sweetener to swap out sugar and calories? 1. In a stand mixer, cream together the butter and SPLENDA® Granulated No Calorie Sweetener until light and fluffy, about 3 minutes on low speed. 2. Mix in the zest, pecans, anise and vanilla. Blend until fully incorporated. 3.A little at a time, begin to add the flour to the mix, scraping down the sides as needed. The dough should some together in a few minutes and look like wet sand. It will should hold its shape when squeezed/molded but will otherwise look dry and sandy. 4. Preheat your oven to 350 degrees Fahrenheit. Line a cookie sheet with parchment paper and reserve. 6. Bake for 20 minutes, rotating the baking sheet halfway through baking. The bottoms should be slightly browned. 7. Meanwhile mix the SPLENDA® Granulated No Calorie Sweetener and corn starch for the cooking coating. Reserve. 8. Allow to cool on the baking sheet for about 5 minutes. Gently coat in each cookie in the corn starch and SPLENDA® Granulated No Calorie Sweetener mixture. Allow to cool completely. Don’t forget to enter this SWEET GIVEAWAY from SPLENDA®! Yes! 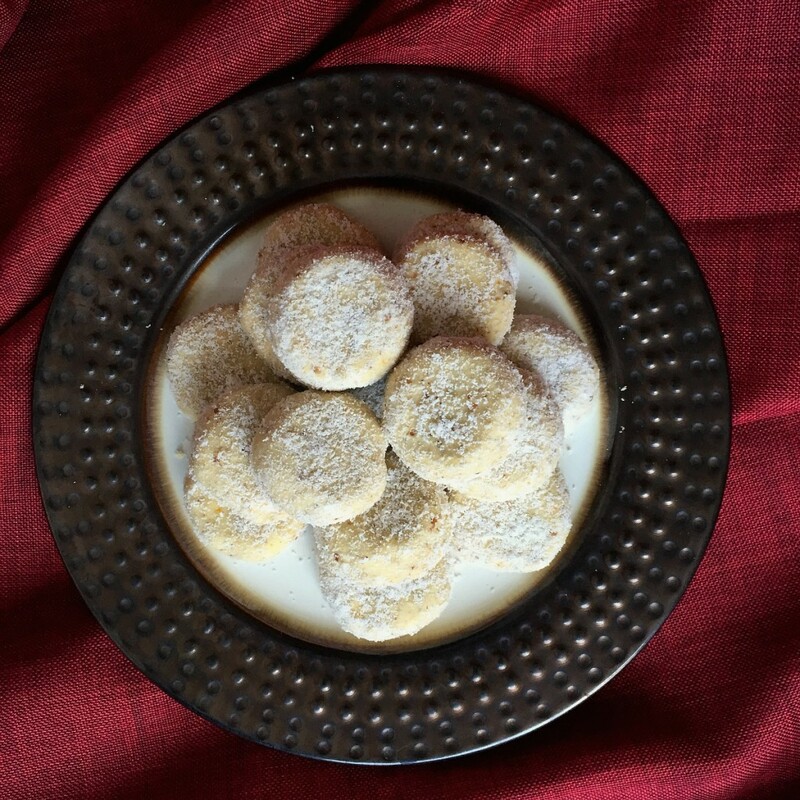 A polvorones recipe made with SPLENDA! I will definitely be bookmarking this. Thank you!!! Glad you liked it, JD. We’re looking to do more recipes using sugar alternatives.